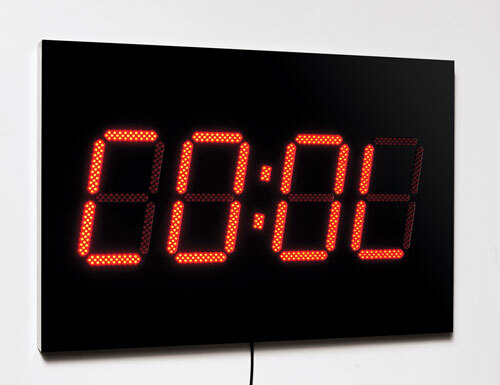 Digiluck is a misbehaving digital clock that shows fluxing sequences of nine, mainly four-letter words rather than the time. It also appears to go wrong and plays pong with itself from time to time. Words such as HALO, PULL, COOL, LOSE, HELP, SALE, PLAY, HELL and GOAL appear, flash, transform and reappear intermittently and repetitively such that, after watching for a while, it brings with it a feeling of superficiality - of being locked up in its own system.